2012 has been quite a year, my creativity was resparked with a Christmas gift from my husband…”the perfect handmade bag” by Clare Youngs. I was inspired to set to and make some of the bags from the book, which I greatly enjoyed. Prompted on by a friend setting up a Facebook Page and attending craft fairs I realised that I would always regret it if I didn’t take the plunge. Vicky Myers Creations was born, to try to make a small business out of handmade items. My aim is simple, to have a purpose behind my creativity, and to self finance this creativity. Norwich Makers Market was my first sale, back in July, followed by two further sales in the run up to Christmas…. • to book fairs which happen just after people have been paid in a month rather than just before!! • I prefer making to selling! Plus I have bags for sale at two local shops, The Greenhouse and The Craft Room in Norwich. 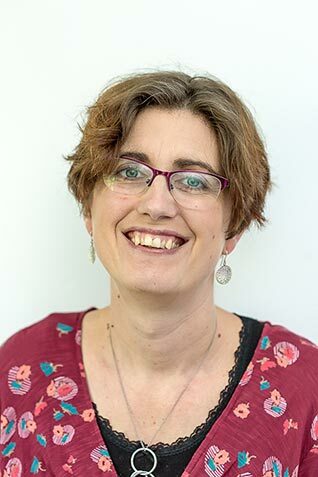 Online I have set up an Etsy shop, a twitter account, blog and Facebook page, joined Pinterest and StumbleUpon, plus submitted the blog to NetMums and Craft Blog Uk. I have written a bag tutorial submitted to Craftori. Yet online sales elude me.. I appreciate tags and excellent photographs assist, both of which I am sure I could improve on. To be fair I have put no money into marketing, or invested in a professional website. So where next?? perhaps some form of business plan would be a good idea! 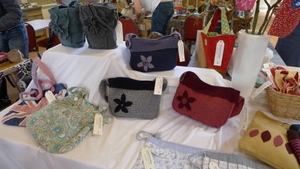 I have sold 28 bags, including 4 commissions but feel as though I have not yet reached the desired market. This conclusion is based on only selling 5 bags to people I don’t personally know. • Explore WEETU, and free courses for women setting up businesses. • Apply to Not on the High Street, but first I wish to finish 3 jacket bags, 3 shirt drawstring bags, and load these along with children’s bucket bags to Etsy (in order to have a wider range of goods to show). • Explore the environmental angle of my bags, and venues/events linked with this. • For the autumn have a professional e-mail with images of bags ready to send out to potential retailers stocking new items for Christmas. • Save for professional photo shoot? professional website? Bag stands for sales at events? "Recycled Jumper Cushion Cover – Tutorial"
"The sales… tempted, are you?" When I was selling purses I made a little video of me unzipping them and showing the lining – just using my digi camera – sold a fair few based on that alone I think as people could see it was a quality product.